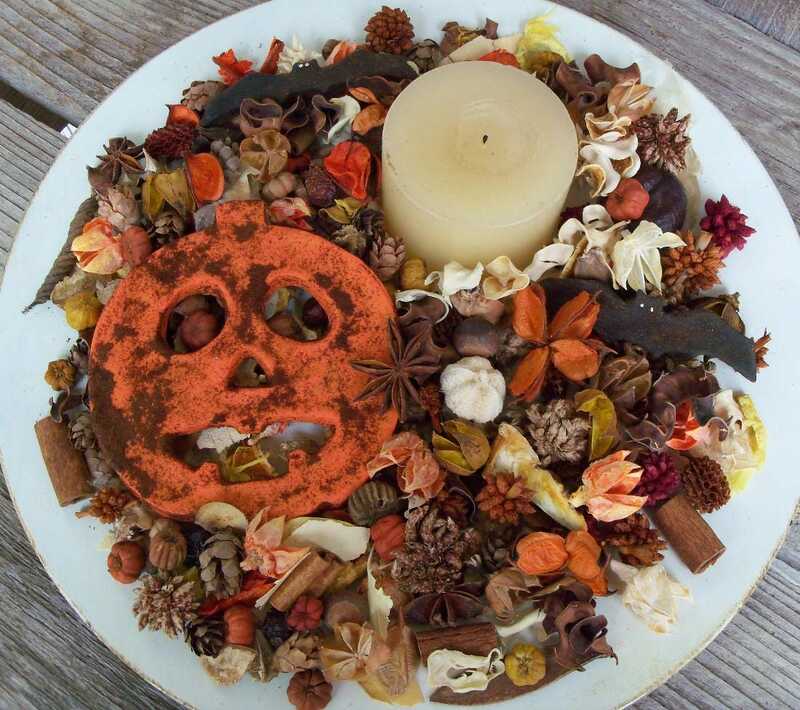 Our Country Jack-O-Lantern Potpourri is a wonderful blend of rosehips, dried flowers and botanicals, pine cones, sweet gum balls, tiny putka pods, orange peel, acorns, berries and anise stars topped with a large grubbied jack-o-lantern and two bats! 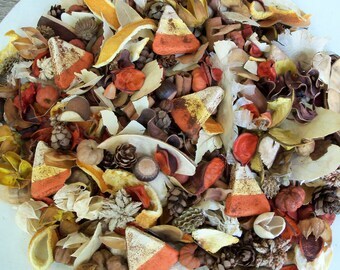 This potpourri is beautiful displayed in wood trays or old pie tins with a small pillar candle as a table centerpiece. 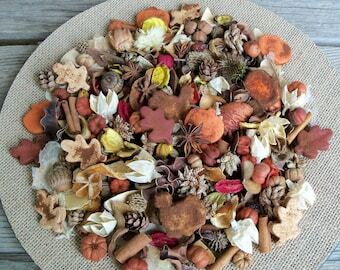 Then, once Halloween is over - remove the saltdoughs and have the perfect Fall potpourri to place on your counter, cupboard or dresser! The jack-o-lantern is approximately 5 inches x 4 1/2 inches and faces may vary from the photo since each is handcut. The bats are approximately 3 1/2 inches long. Each salt dough is handcut, air-dried to a pottery like hardness, hand-painted, wax-dipped and lightly grubbied with our own cinnamon spice mixture. 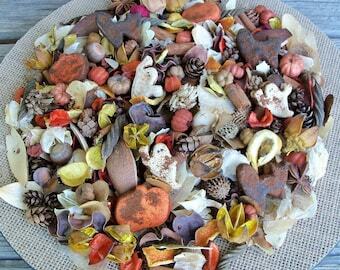 The Country Jack-o-Lantern potpourri is heavily scented, but not overpowering. 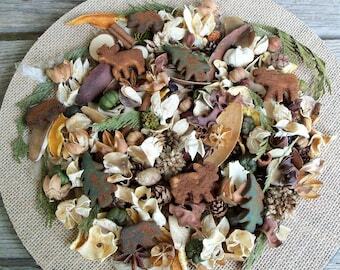 It will scent your room throughout the season. 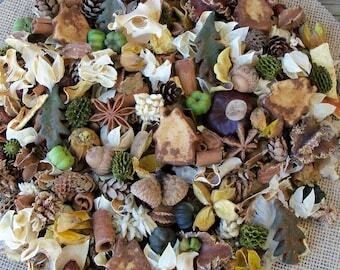 I offer over 80+ scents for you to select from to scent your potpourri! There is a wide range of scents to suit every taste. 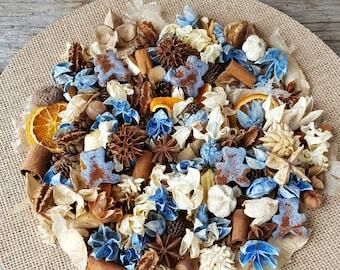 ~ Christmas Wishes: A blend of vanilla sugar cookies, the cold air when you step outside, fresh cut fir and a hint of citrus.